– where our mission is to share the power of crystal healing with people all over the world. Whether you’re new to crystal healing, or an experienced practitioner looking for advanced techniques to grow your practice, we are proud to offer a broad range of training programs & free resources to support you in creating a life and career that are fully aligned with your soul’s purpose. We’ve developed the “Crystal Immersion Method™” of teaching, specifically to help you deepen your crystal knowledge and spiritual development through 3 key pillars of training: intuition, compassion, and confidence. New to the Love & Light School? Welcome! If you are curious about using crystals to make positive changes for yourself, your friends & family, or your clients, then you’ve come to the right place. Click the link below to get started with crystal healing today! 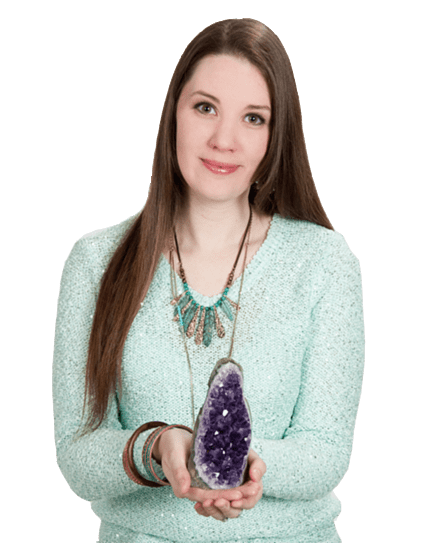 From videos and articles to eBooks, posters and checklists, Ashley Leavy and the Love & Light School of Crystal Therapy are proud to bring you some of the best crystal healing resources on the web – 100% FREE! Discover the benefits of crystal healing for yourself & your loved ones, launch a thriving career you love, or integrate crystal healing into your existing practice with the world’s leading accredited Crystal Healing programs. Crystal Reiki is a unique system that uses its own set of symbols, in combination with healing crystals, as well as its own specialized techniques and systems for using the symbols and crystals. Get the foundation of crystal knowledge for the following classes. You’ll get clarity on some of the most controversial crystal healing topics like how crystals work, crystal cleansing, programming, crystal energy, and more. To read more Crystal Healing articles, click the button! Want to Learn Everything You Need to Know About Working With Crystal Energy?